Many people and things have come and gone in Bassett, Wisconsin. The railroad used to come through town and some people still remember the feed mill that burned down in 1961. 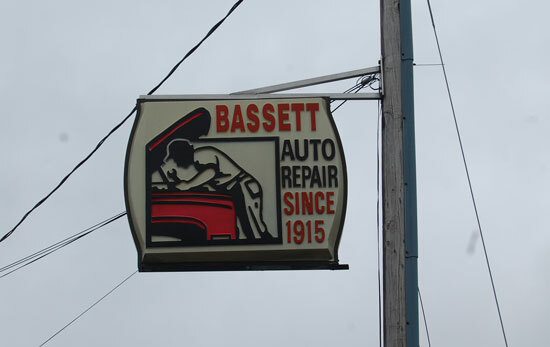 But for the last 100 years Bassett and the surrounding area have been able to count on Bassett Auto Service — and its predecessor blacksmith shop — to be there when they need it. Three generations of Sarbackers — Fred, Fred Jr. and Rick — have guided the business through that century of operation. 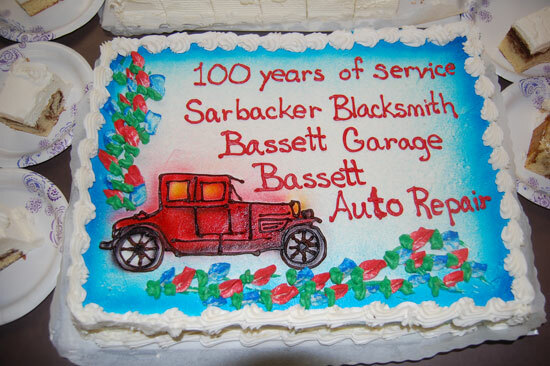 The business started in 1915 as primarily a blacksmith shop. As cars came along, the business started repairing them too. 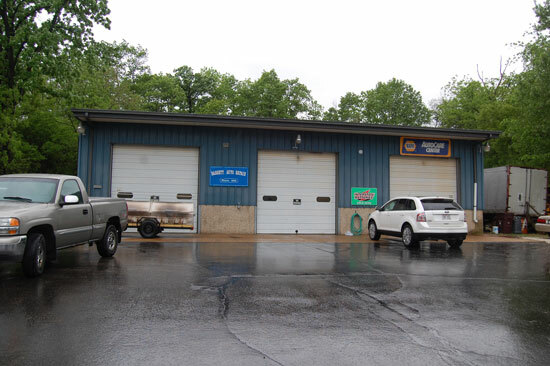 Fred Jr., back from a stint in the Army in 1946, was behind the business jumping into cars as a main part of the business, dividing the shop between blacksmith and auto repair. 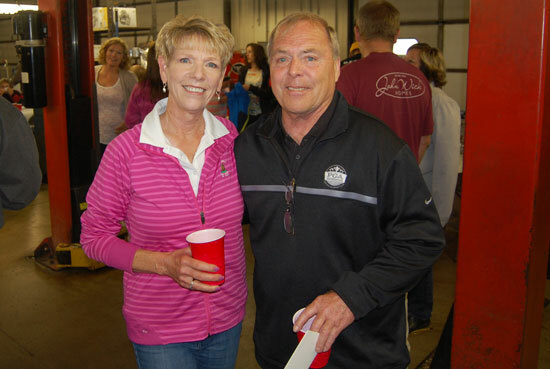 On Saturday, Rick Sarbacker and his wife, Karen, hosted a celebration of the milestone at the shop. 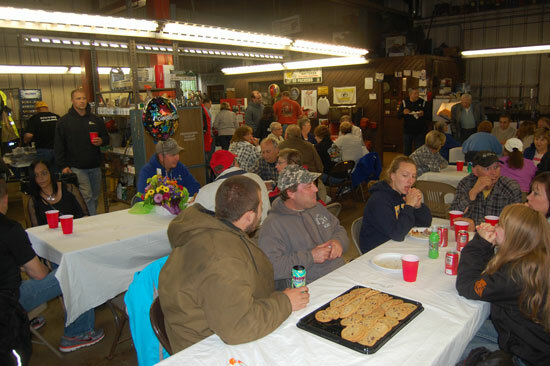 Rainy weather kept everyone inside the shop, but the crowd was a who’s who of notable locals. Rick was involved in the business at an early age before taking over the business along with his wife from his father in 1983 and continuing to today. But there is not another generation of Sarbacker ready to take over when he retires. His own children are not involved in the business. Still, 100 years of business continuity is a accomplishment to be proud of. How do you keep a business going for that long? 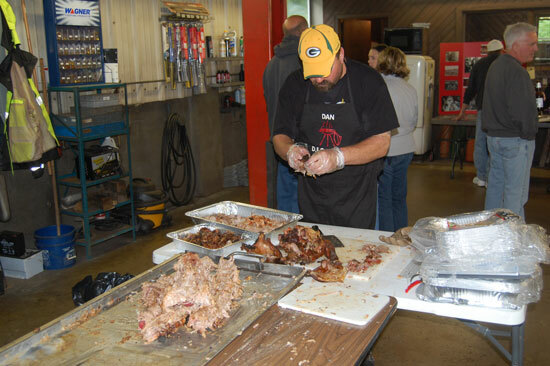 “You try to keep up with the times and you need loyal customers,” Rick said. 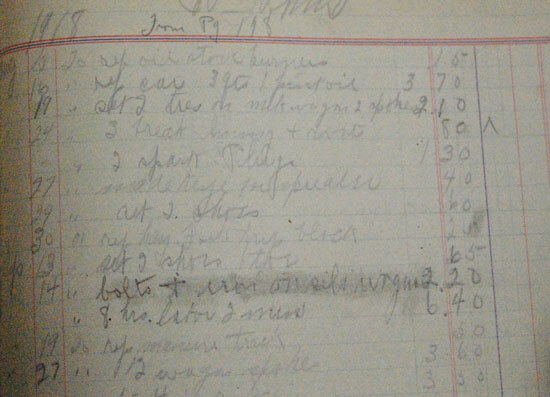 A page from a ledger from 1918 shows prices not seen in a long time. 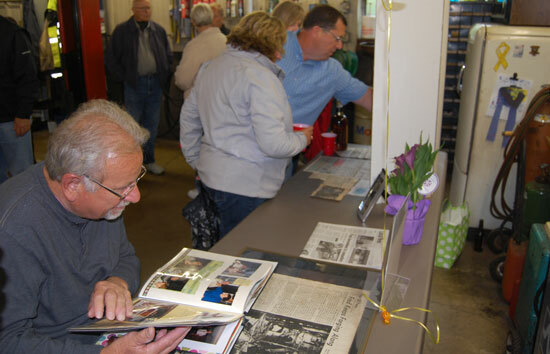 Attendees at Saturday’s Bassett Auto Service 100th Anniversary celebration look over a collection of memorabilia. Posted in: Bassett, sponsored post.